Imagine stepping into a fairytale world, where you are surrounded by woodland, the sea and Welsh ‘mountains’. That’s exactly what it felt like when I stepped off the coach in North Wales for Festival No 6. 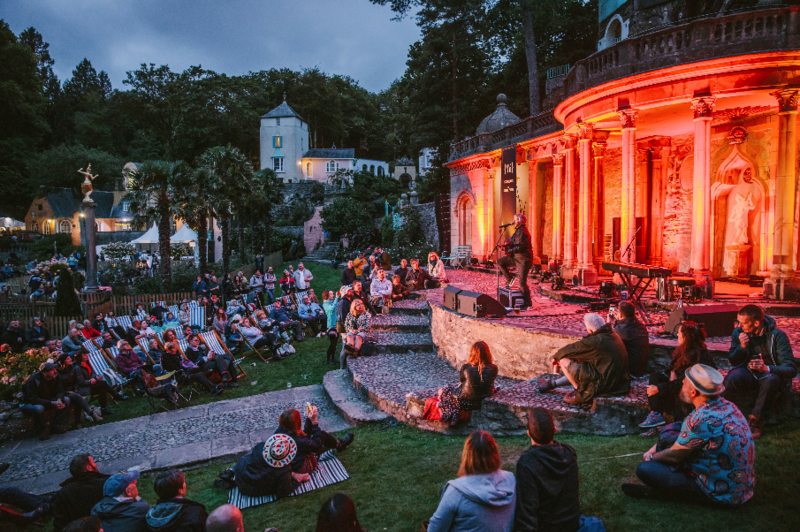 Set in the beautifully idyllic village of Portmeirion, where all your wildest dreams really do come to light. From the human sized chess board in the heart of the village, evoking serious Alice in Wonderland vibes to the delicately multicoloured buildings spread all across, leading down towards the Welsh bay. The village known to have inspired many writers and television producers, and was home to the 1960’s British television show, The Prisoner. 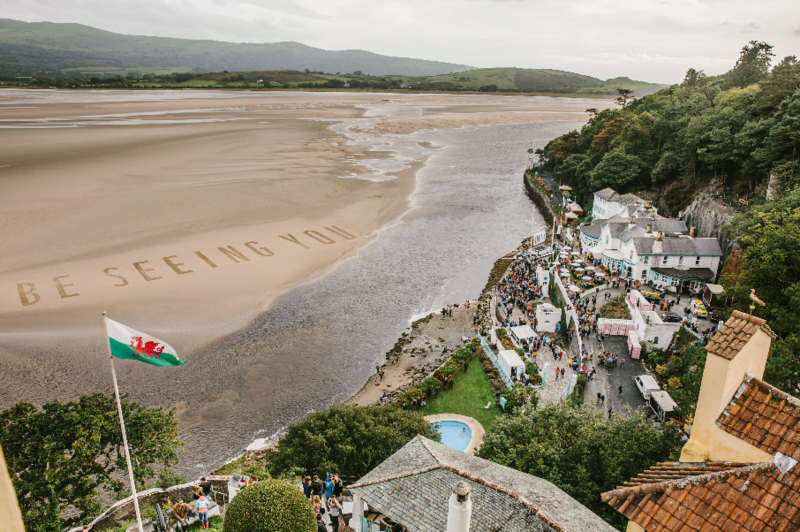 It can be said that Portmeirion has been in the world’s vision for many years, but only some have been blessed enough to encounter the village in all it’s glory whilst closed off the public eye during Festival No 6. Although some of the headliners scream names from the past, reigning in a slightly older crowd, the festival was sprinkled with rising stars such as Lewis Capaldi, Fenne Lily, Goat Girl and many more to keep the younger audiences at bay. Festival No 6 is much more than just the music, with the villages and arena filled with talks provided by The Guardian, paddle boarding, runs, yoga, screenings, comedy, and fancy food stalls galore. (And even a private spa retreat for those with some extra cash to spare!) Whether you were in the boutique camping area, or just a regular camper looking for a good time, there really was something for every crowd; bringing together old friends, families and youngsters for one last Festival No 6. That being said, and despite the typical rainy Welsh weather, headliners Friendly Fires, The The and Franz Ferdinand all closed off each night of this festival finale, all filled out with huge crowds, both young and older. Despite being the final Festival No 6 (for now), it was a beautiful end to the carefree summer nights, getting us ready for the approaching winter months. Be seeing you, Festival No 6. Photo Credit (Image 1 & 2): Andrew Whitton.